I started a Flicker Group called "Jewels BOM" to share pictures of your blocks. Each month I will select one pictures as the winner (at random) to receive free quilty prizes. This month's prize is copy of Quiltmaker's 100 Blocks and my recently published Frosty Carnations Pattern from Quilter's World!! I have already posted the pictures I have received so far, and they are spectacular!! Post your block and be entered in the monthy contest. 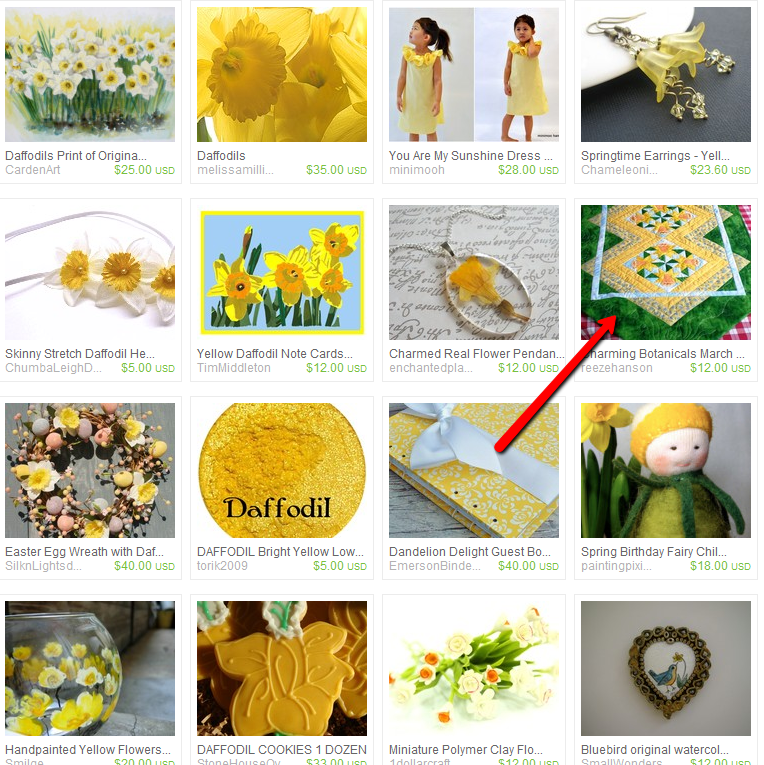 Click on the link below to go to the JEWELSBOM group and see the blocks, and post yours. I can't wait to see Your block!!! The new BOM for 2011 is called Jewels in the Crown. This quilt is all pieced! No applique. 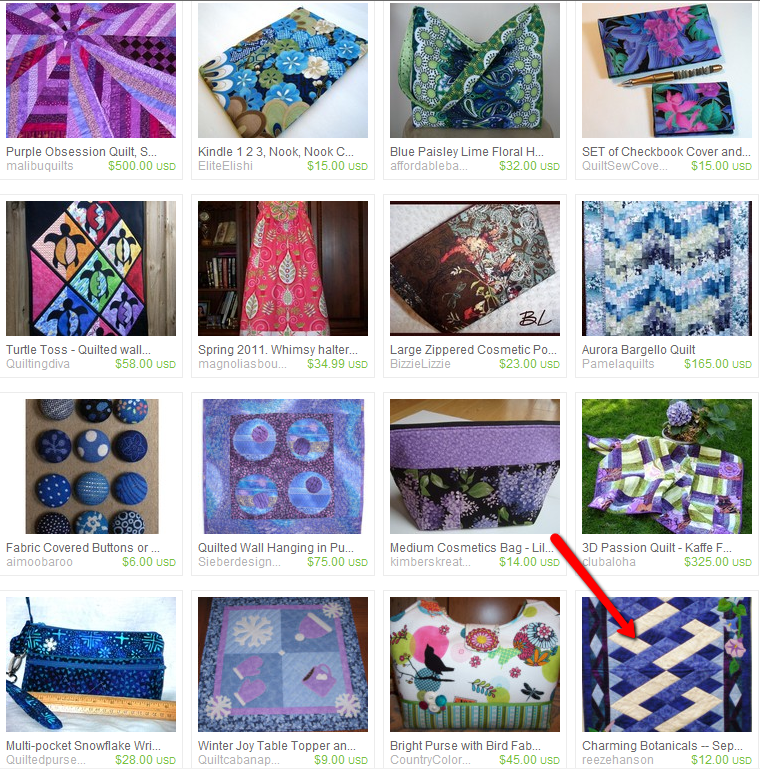 But the blocks are made in beautiful jewel tones -- batiks, tone-on-tones, textured prints, and other bright or saturated colors. The colors will really brighten up a cold northern January! All blocks finish at 12" and will be placed in an on-point setting. Of course your version can be any color and setting your choose! There is an optional foundation pattern you can download if you prefer to foundation piece the block. This year I will do a monthly give away in association with the block of the month. Everyone who sends me a photo of their completed block will get a chance to win. Each month the prize will be different. 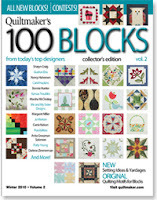 The Prize for January is a FREE copy of Quiltmaker's 100 Blocks Vol. 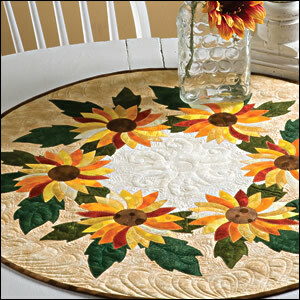 2 and a copy of my Frosty Carnations pattern from the Jan/Feb Quilter's World Magazine!! To enter the drawing, send me an email of your completed block along with your name and email. Send your email with attached photo to THIS EMAIL. I can't wait to see what colors you choose for your Jewel Box Block!